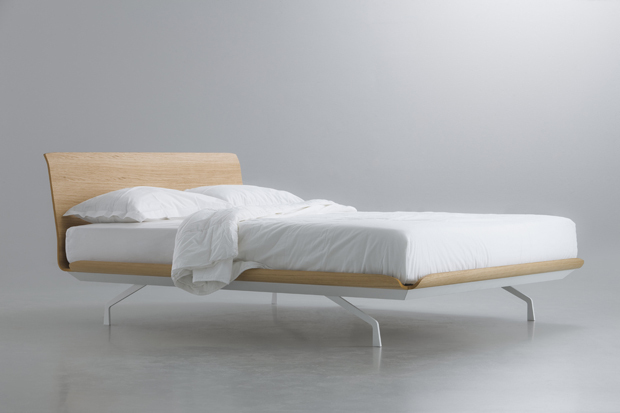 Telemark bed. 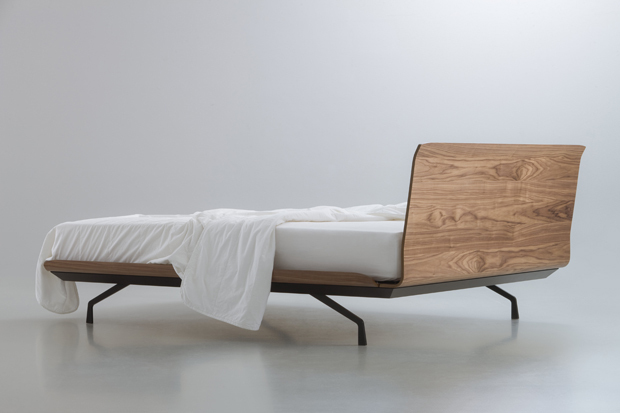 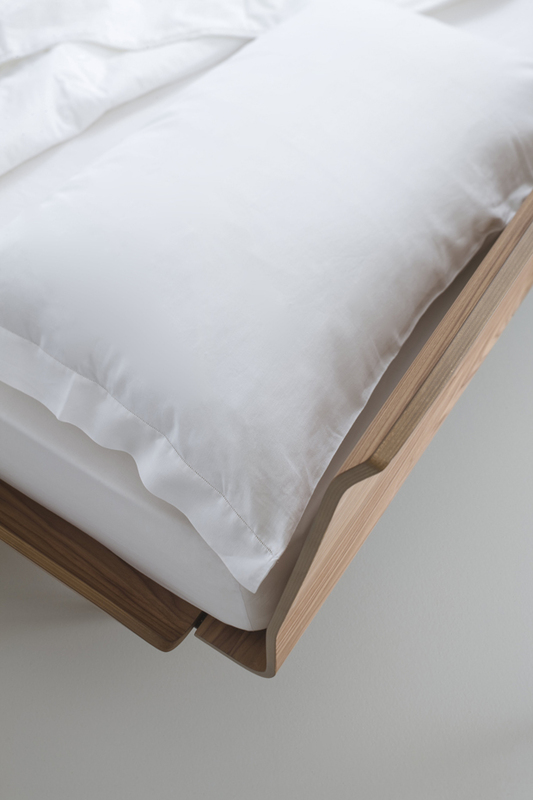 Bed in plywood veneered in oak and walnut. 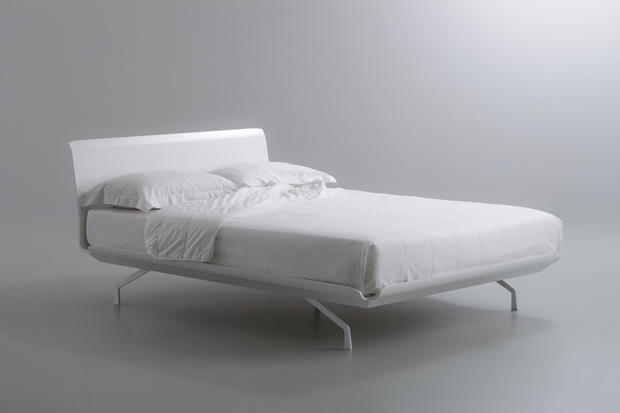 Also available in lacquered matt white RAL9016.